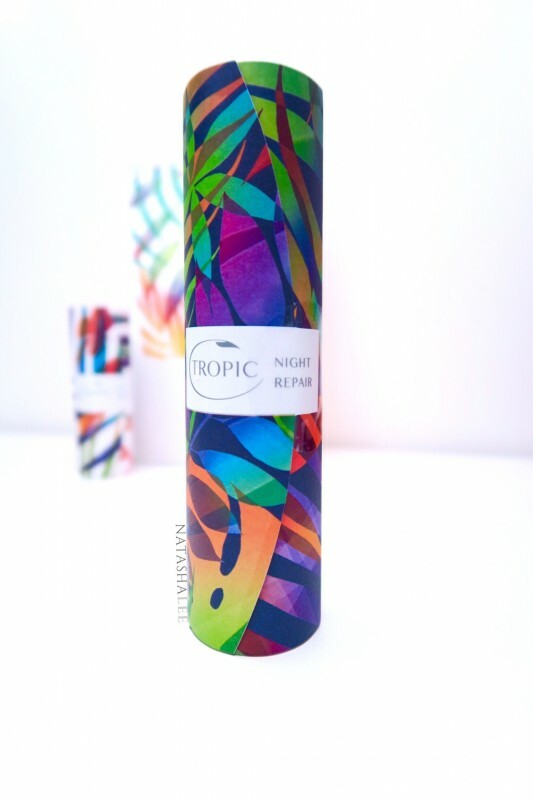 I have been searching for some time for the best anti ageing cream and recently I was sent the Tropic Night Repair Cell Renewal Cream Concentrate to review. I did have pretty high hopes for it as I’m a big fan of a number of the Tropic products after trialling and reviewing them and many of them have now replaced my previous favourite products from other brands. 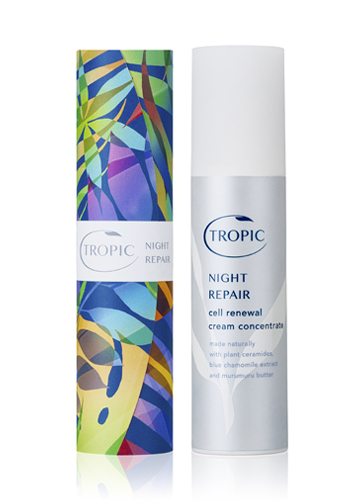 The Tropic Night Repair cell renewal cream concentrate is a relatively new product to Tropic and is described as being supercharged with intelligent plant ceramide complexes and a blend of exotic butters to plump and ultra-hydrate the skin. Containing all natural ingredients from Aloe Vera and Babassu Oil to Ylang Ylang and Blue Chamomile, it really is packed full of gorgeous ingredients. It all sounds very impressive but does it actually work and could it compete as the best anti ageing cream? 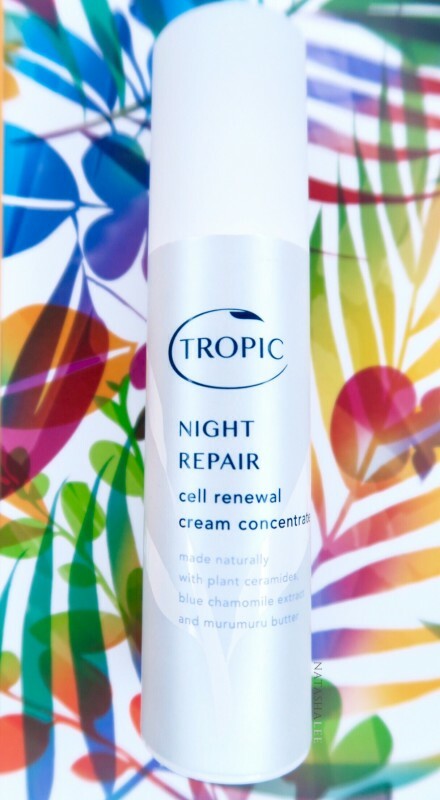 The first time that I applied the Tropic Night Repair Cell Renewal Concentrate Cream was after a particularly sleep-deprived, late night/early morning couple of weeks (aka kids and their night-time “I NEED A WEE-WEE”/”cantfindmyTRex”/”wheresmydiggergone” calls) and I was looking every one of my 35 years plus a few more. This was particularly evident around the eyes which were showing quite a few fine (and some not so fine) lines. I applied the Tropic Night Repair cream at bedtime after cleansing and toning and then just went to bed as normal with my fingers crossed that I may have discovered the next best anti-ageing face cream! When in the morning I stumbled inelegantly out of bed and passed the full length mirror on my bedroom wall – even in my zombified, sleep-deprived state – I did a double take!! The significant improvement in my skin was visible OVERNIGHT! The first thing I noticed was how youthful my skin looked. No tired, sallow, saggy looking “just got out of bed after 5 hours sleep” puffy face. My skin tone was even and radiant, the fine lines around my eyes had reduced by about 75%, along with the dark circles and I was absolutely gobsmacked! So much so that I had to tell someone, first it was my husband, who met me with his usual enthusiasm for anything beauty related i.e. muttered a false vaguely interested acknowledgement whilst engrossed in Baron Von Grumble on the iPad. Desperate to spread the word, I proceeded to share my new found miracle cream with any of my friends that would listen. I was tempted to write this blog there and then, but I thought it best to give it a decent trial period of using nightly for a number of weeks before I reported back to you with a final and honest review. So here we are about 6 weeks later. I can confirm that this cream is ABSOLUTELY ASTONISHING in the difference that it makes to your skin. 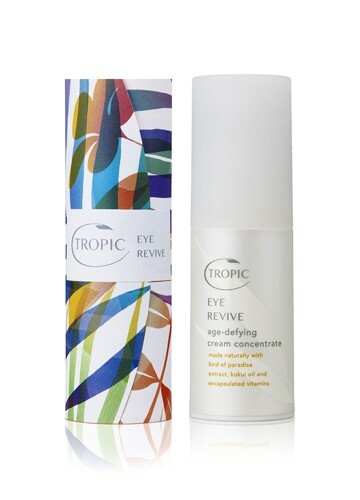 So much so, that not only have I bought a second one already for when my press sample runs out, but I have also bought the EYE REVIVE Age-defying Cream Concentrate to compliment it. 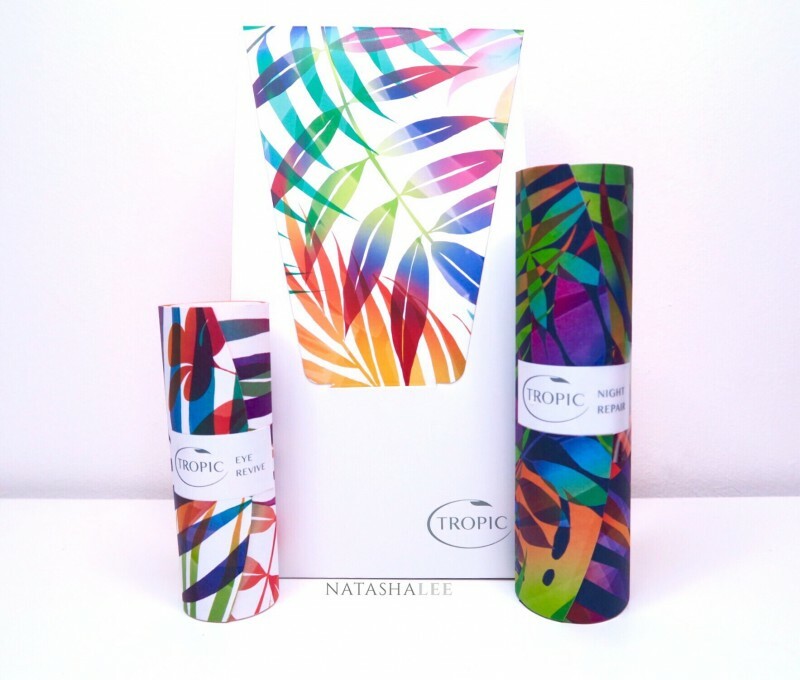 I should also mention that Tropic has had a huge packaging makeover since I reviewed the Cleanser, Toner & Moisturiser. Gone are the pale green, low-end-looking containers that belied the high end contents. Instead they have been replaced with elegant shimmering, pearly white cylinders, wrapped equisitly in brightly coloured, luxury leaf-printed sleeves. My best anti ageing cream! This is the first time since I began my Nail, Beauty & Lifestyle blog that I have ever scored a product as full marks, but it really does deserve it! 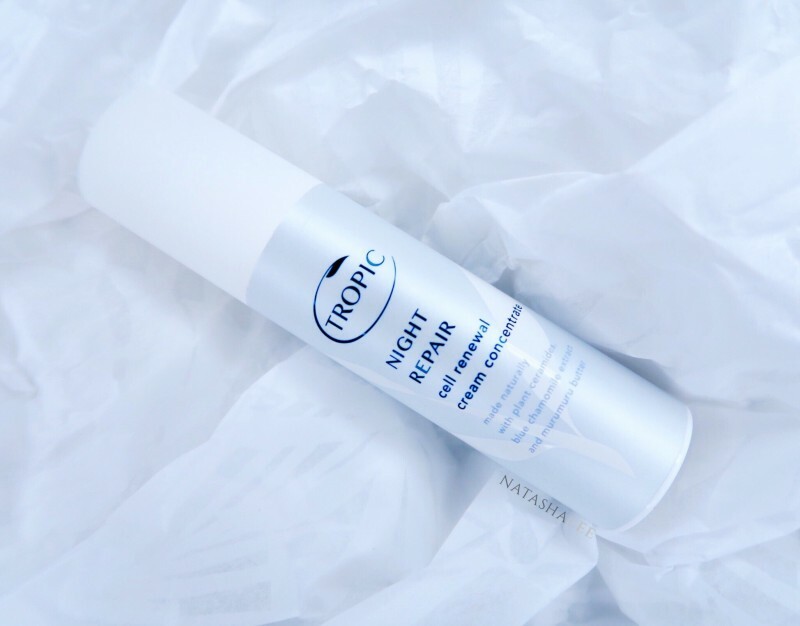 If you are looking to try the best anti ageing cream for your face and eyes, then you need to get your paws on the Tropic Cell Renewal Night Cream! Even my husband has got in on the action! Just to put your mind at rest, I have no affiliation with Tropic other than as a beauty blogger being sent press samples to trial (there aren’t even any affiliate links on this post! ), so I can say honestly that they really are THE brand to watch right now. This is the direction that all brands should be going in: Vegan Friendly, Not Tested On Animals and all naturally derived ingredients that fulfil everything that they promise to. Never before have I had such clear, radiant skin, to the extent that I have been asked for ID numerous times in the past 6 months (YESSSSSSS!!!!!!! Get in! Thank you to Phil in the Shell garage on the A55 East for making my day!). If you want to purchase any of the products mentioned here then you can do so online here.